Unlike the snow outside, the layer of dust in your garage won’t melt away. Take time to wipe off cobwebs and dust from wall hangings, toolsets and the refrigerator. Chances are, there’s some dirt and debris on your garage floor. The fastest way to remove the filth is to simply vacuum it away. Depending on how dirty your floor is, you may need a deeper clean. Power washing your floor gets rid of the grime and stains that are difficult to remove. Check out our garage floor cleaning services if you’re crunched for time! Once you’ve cleaned the floor, it’s time to organize your things. 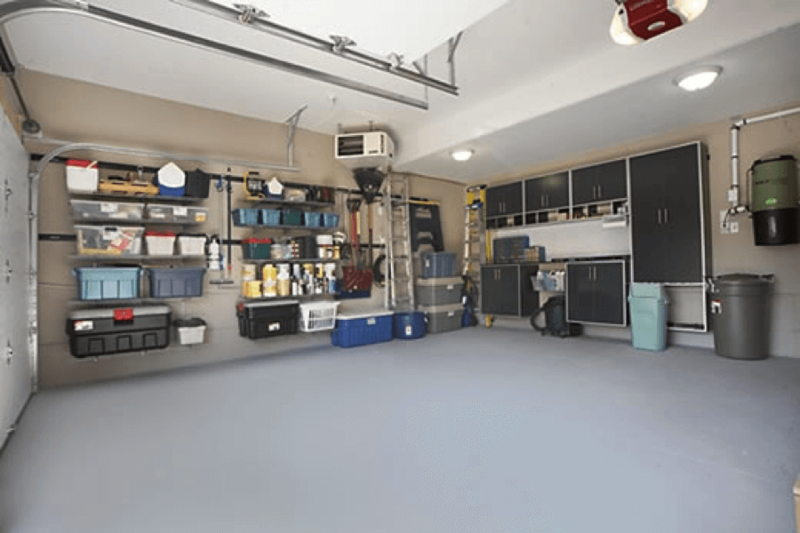 Designate areas of your garage to place different categories of items. Do you have old lawn ornaments you no longer need? Put those things in the donation or sell piles. How about forgotten pieces of artwork or furniture? If you have room in the house, an interior decoration pile may be worthwhile. Even the items that belong outdoors should be categorized. That way you can easily move them to the yard or patio when the weather improves. Not everything in your garage is worth keeping. Place a trashcan in your garage to easily discard clutter that you cannot sell or donate. Just because it’s trash, doesn’t mean you shouldn’t sort it! Set aside recyclable items such as electronics, motor oil, cables, holiday decorations and paint cans. Search online to find your local recycling center. Nobody wants to get hit with city penalties for improper waste disposal. A cleaner garage and planet both start with proper recycling. Avoid mistakes that clean out your wallet. Since you’ve already sorted your items into different categories, it should be easier to move them to specific places in your garage. Put all your tools in or around your workbench for easy access. If you have gardening equipment, choose a corner or cabinet to place your shovels, fertilizer and seeds. Hang bicycles and rakes on the garage walls if possible to save on space. Don’t skimp on overhead storage! It’s a great place to keep items you rarely use. Tidying up your garage now gives you more time to enjoy it in the springtime. A beautiful floor coating is something to show off, not cover with unsightly objects. You don’t have to do everything at once. Set aside an hour per weekend to clear away the mess and you’ll thank yourself later. 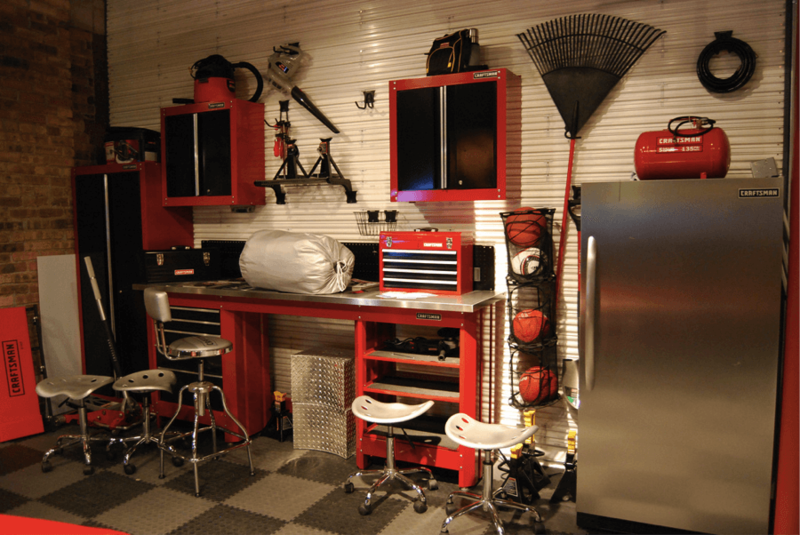 You wouldn’t let the other rooms of your house fall into disarray, so why should your garage? Create an environment you’ll want to spend time in and show off to your neighbors!